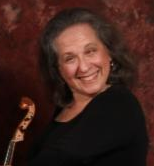 The mission of Cascadia Viols is to encourage the appreciation, study, and performance of the Viola da Gamba and related music in Oregon and SW Washington. We sponsor workshops, concerts, play days, and other events promoting all sizes of viols. Everyone is invited to join: amateurs, professionals, teachers, composers and people who enjoy listening to the large repertoire of the viol. How to Hold the Viol. Being seated, place your Viol decently betwixt your knees; so, that the lower end of it may rest upon the Calves of your Legs. Set the Soles of your Feet flat on the Floor; your Toes turned a little outward. Let the top of the Viol be erected towards your left Shoulder; so, as it may rest in that posture, though you touch it not with your Hand.